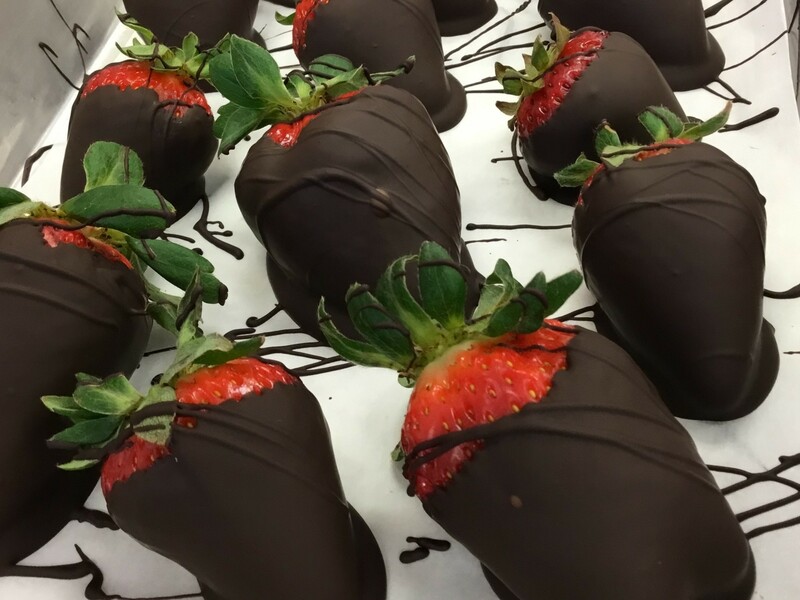 F - Order your Chocolate Covered Strawberries Online! 1 Pound minimum please. Carella's Chocolates Chocolate Covered Strawberries are Delicious. Dipped in Belgium Dark Chocolate. No preservatives. Shelf life is 2 days. Buy and eat! Don't wait. Have a party and want them on a tray? No Problem! Give us a call and we will take care of it. Orders online are boxed and wrapped if you choose the wrap option. One pound equals approximately 12 to 16 strawberries depending on size.